It is often thought that the answer to conflict is culture (wenming). The notion that we should focus on culture to become calm and ease tensions is especially true in China, with its emphasis on “harmony” (hexie), but maybe not throughout the world. “The more cultural exchange the better right! ?” However, this is not always true. Cultural exchange and warfare are not mutually exclusive, e.g., Yuan Dynasty (Mongol invasion of China) and, during Ming Dynasty, when Hideyoshi invaded Korea, not only taking captives, but also bringing back with them c artists, musicians, and other cultural aspects. Culture as it proceeds through conflict, seems then, engaged in a cohesive relationship that can ultimately work together toward the desired state of peace (heping). In remote parts of the U.S many Americans are increasingly becoming more interested in Sinicization, particularly in the Midwest. However, the U.S should never become complacent with their knowledge of China. China is constantly changing and the U.S needs to abandon ethnocentric sentiment that suggests that they’ve got China figured out. We need to always be aiming towards more sinicization. (Aside on South Korean [“the Korea Wave”] and Japan as cultural export kings and major competitors with China in the US market and imagination). Open discussion/brainstorming examples of “political musicians” and “music and politics.” All of the examples generated by the audience were American or British. No one mentions Chairman Mao or the Yanan Forum. When Cathcart mentions his surprise at the omission, the audience says but “Mao wasn’t a musician!” A discussion follows of Chairman Mao, Jiang Qing, and opera in the Yanan years, including the visit of George Marshall to Yanan. Music as containing something much larger than itself. Is music inherently political, or is it independent? Must each piece of music tell a story? Discussion of two Soviet/Russian composers, Dmitri Shostakovich and Sergei Prokoviev and how their music reflected the political realities of the Soviet Union. 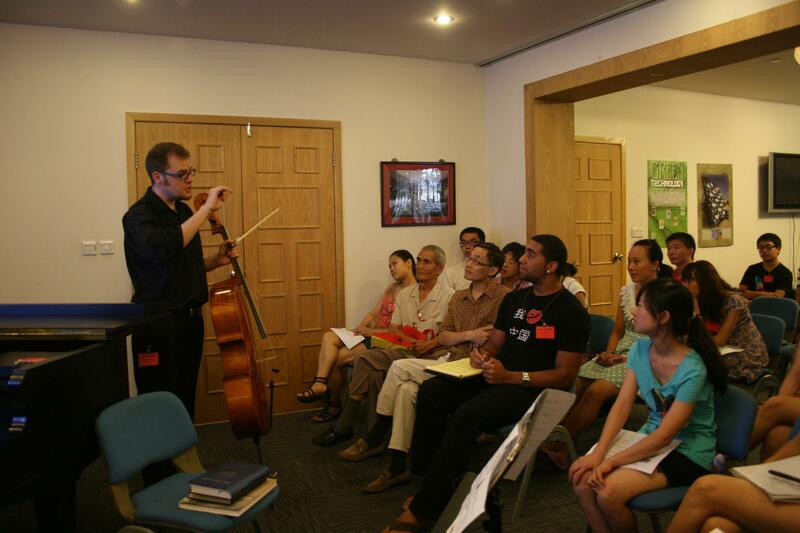 1950s — Great musical and cultural exchange with Soviet Union – positive legacies in Chinese conservatory training today. 1961 China breaks ties with Soviet Union, thus the cultural exchange with the Soviet Union ceases; in 1966 all music deemed Western or reactionary is officially abandoned. Kissenger prior to Nixon visited China on a secret mission in 1971. China wasn’t quite sure how to welcome Kissenger. However, they ended up deciding to welcome him with Beethoven, which was insisted by Zhou Enlai. This is important to note because Beethoven had been banned. China presenting Beethoven music served as symbol that transcended its commonly understood purpose which is to entertain. 1972 Nixon goes to China and they welcome him with Beijing Opera. 1974 George H.W Bush the U.S. Liaison Officer in China (essentially the Ambassador to China during this time) engages in extensive talks with China about cultural exchange. i.e Second Philadelphia Orchestra trip is cancelled because Chinese song/dance troupe who planning to tour to US refuses to drop song regarding “liberation of Taiwan by force” from their program. 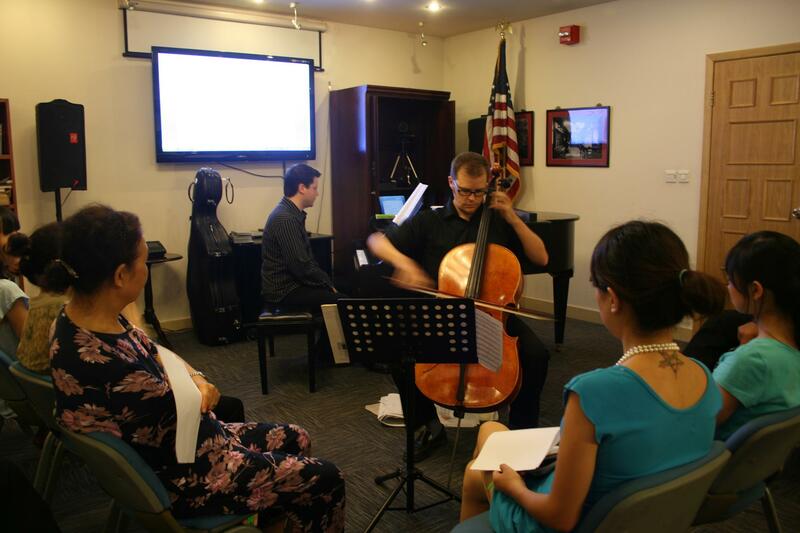 Chengdu composer’s cello sonata from 1996 fuses Western and Eastern music together terrifically.